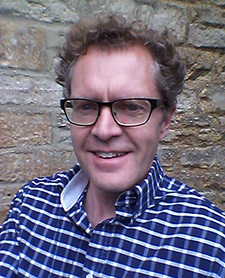 Ross King is the bestselling author of books on Italian, French and Canadian art and history. Among his books are Brunelleschi’s Dome (2000), Michelangelo and the Pope’s Ceiling (2002), The Judgment of Paris (Governor General’s Award, 2006), and Leonardo and The Last Supper (Governor General’s Award, 2012). He has also published two novels (Domino and Ex-Libris), a biography of Niccolò Machiavelli, and a collection of Leonardo da Vinci’s fables, jokes and riddles. He is the co-author with Anja Grebe of Florence: The Paintings & Frescoes, 1250-1743 (2015), the most comprehensive book ever undertaken on the art of Florence. Ross’s latest book, published in September 2016, marks his return to French Impressionism ten years after his award-winning The Judgement of Paris. The story of Monet’s struggles and triumphs in the last dozen years of his life, Mad Enchantment: Claude Monet and the Painting of the Water Lilies has been written with “a historical novelist’s attunement to the interplay of place, temperament, and society … Never before has the full drama and significance of Monet’s magnificent Water Lilies been conveyed with such knowledge and perception, empathy and wonder” (Donna Seaman, Booklist). Mad Enchantment is the winner of the 2017 RBC Taylor Prize. In tandem with his writing, Ross is an active fundraiser for the arts and a passionate lecturer and tour guide. He serves on the Council of Academic Advisors for Friends of Florence (FoF), the fundraising charity that ensures the survival of Florence’s art and architectural treasures. He has participated in numerous FoF study tours throughout Italy, including in Rome, Assisi and Milan. He is a regular participant in the Italian Renaissance seminars at the Aspen Institute, and has given Impressionist tours of Paris, Normandy, Brittany and Provence. He has lectured in many American museums, including at the Smithsonian, the Art Institute of Chicago, the Frick Collection, and the National Gallery. When not traveling for work or pleasure, he lives in the historic town of Woodstock, near Oxford, with his wife Melanie. © Ross King. Web site by interbridge.